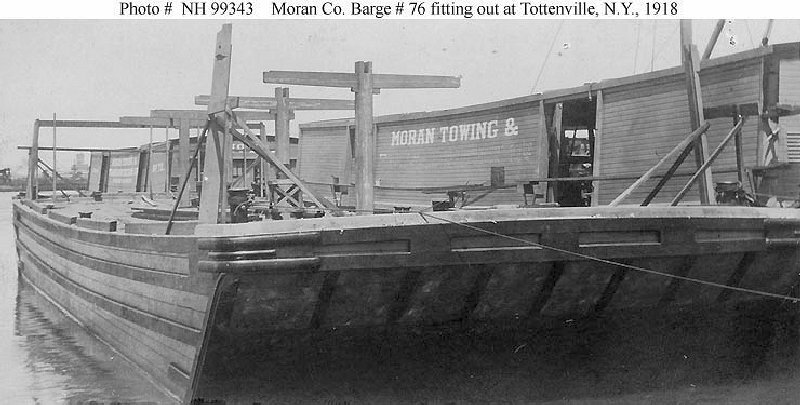 75k Fitting out at the Harry Cossey Shipyard, Tottenville, New York, in 1918. Barge No. 72 is partially visible in the left background.